Promotions | Linden Optometry A P.C. Every Thanksgiving season, Linden Optometry P.C. in Pasadena gives back to the Community by offering lo w-cost eye exams for anyone who has lost their vision insurance (or who never had vision insurance). On Thanksgiving weekend, Saturday, November 26 and Sunday, November 27, 2016 our Doctors of Optometry will provide you with a full, comprehensive eye exam including Glaucoma test, for $25. This event is by appointment only, and we have a limited number of appointments available. Please call 1-626-796-1191 and ask for a Thanksgiving $25 Eye Exam, or click below and specify “$25 Exam” from the menu when making your appointment. This exam does NOT include contact lens fitting, nor does it include treatment of eye infections, treatment of Glaucoma, eye injuries, or any other medical condition. Sorry, this offer is only for patients who have no vision insurance. 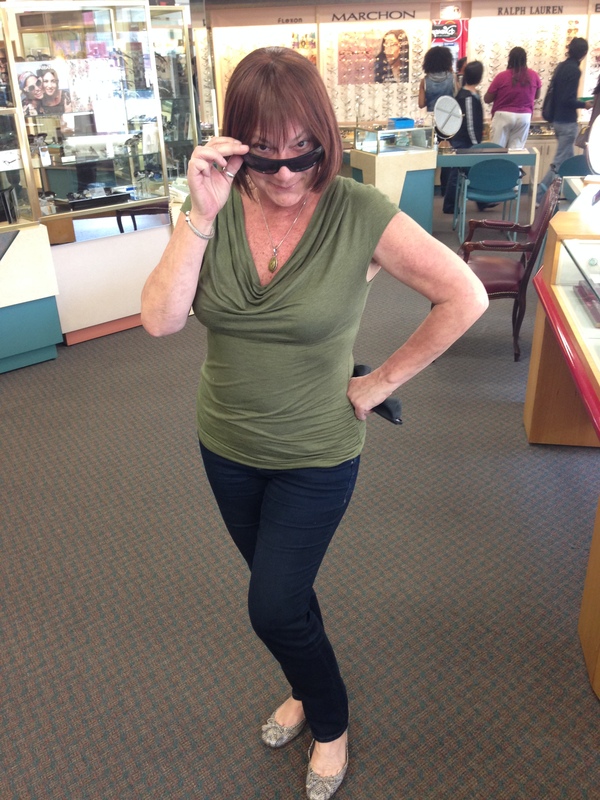 Cynthia Tiniakos shows off her #cool #TagHeuer #Sunglasses (value $300!) she won at our #TrunkShow last week.